The Ides of March this year saw the Montreal Canadiens licking their wounds on the losing end of a visit to Brooklyn, in a game where they hung around, like nobody’s business, thanks to a heroic performance by one Carey Price at the height of his game. But the team’s woes, perhaps fittingly, started a week earlier with a road trip to the Golden State. It was there, on the rugged shores of San Francisco Bay, that the wildcard spot the Habs held for much of the past two months first slipped from their grasp. The West Coast swoon, a long-standing Habs’ tradition dating back to the Vinny Damphousse era, allowed both the Carolina Hurricanes and Columbus Blue Jackets to leapfrog, with games in hand, over the Habs for possession of the two wildcard spots in the Eastern Conference. The scoring that dried up in parched California stayed dry after the Habs returned home, flustered but flush with Air Miles points, from their road trip. Most concerning, the strong five-on-five play on vivid display for much of the season was suddenly lacking, the jump… gone. But after laying a goose egg against the Hawks, the Habs, perhaps sensing their playoff hopes slipping away, bounced back with three wins in five nights, the second a resounding victory against the same New York Islanders squad that just a week earlier had badly outplayed them in Brooklyn. Along the way, they regained possession of the second Wild Card spot in the Eastern Conference, setting up last Thursday’s crucial matchup against the surging Blue Jackets, freshly retooled with trade-deadline acquisitions Ryan Dzingel and Matt Duchene for what GM Jarmo Kekäläinen had better hope is a long playoff run. Things did not go well, as we all know. The Jackets, judging by the eyeball test, are the superior team: Nick Foligno on the fourth line… Mother of God. The 6-2 smackdown in Columbus dropped the Canadiens out of the playoff picture, with a murderer’s row of legit Stanley Cup contenders – Winnipeg and Washington on the road, Toronto and Tampa at home – waiting in the wings to round out the season. 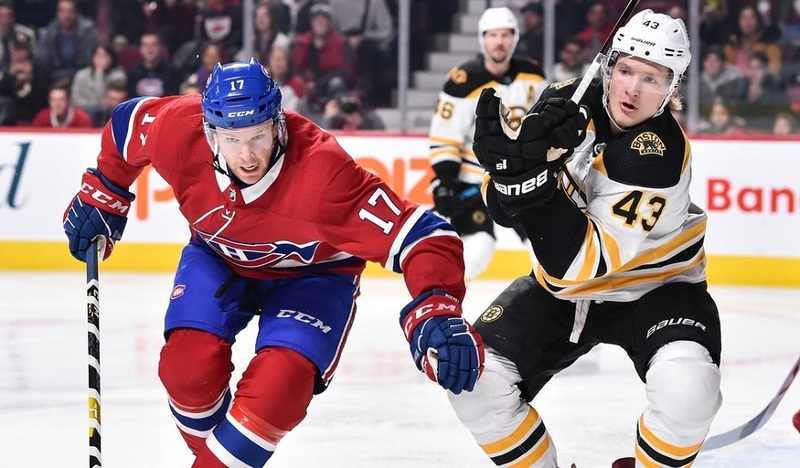 To say that the odds are stacked against the Canadiens would be a huge understatement. But the Habs have defied the odds all season. The aforementioned teams, their playoff seedings sewed up, could do them a huge favour by resting their regulars through the final week of the season. To do so would be nothing short of a benediction (props to my friend Dan Coyle for his insight on this point). The huge road victory over the Jets, this time in Winnipeg, showcased all that we’ve come to like about this team from Day One. Playing without catalyst Paul Byron – who put himself in harm’s way to “own up” under a so-called “code” that no one can quite explain or pinpoint in time (though I have a hunch the 1970s might be a good place to look) – the Habs utilized their speed and forecheck to defeat the powerhouse Jets for the second time in a month. They’ll have to duplicate that feat in each of their remaining games if they wish to overtake the Hurricanes or the Blue Jackets. Doing so would be tantamount to an Easter miracle. 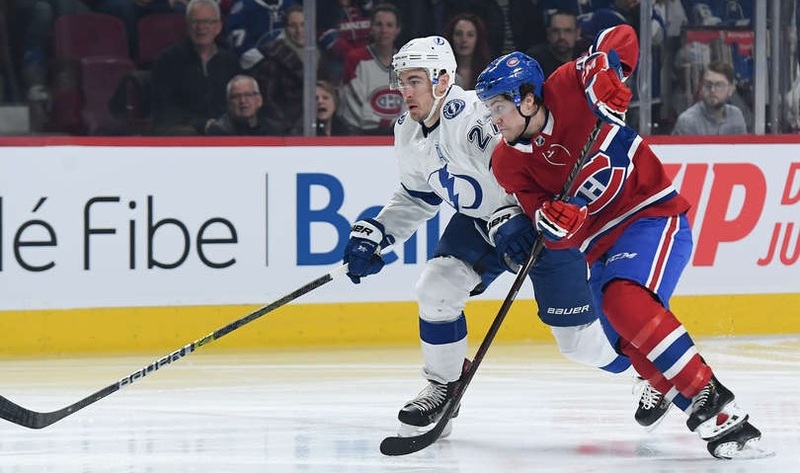 The Bolts, even banged up and playing their second game in two nights, remained a formidable opponent: It was like watching the Habs travel back in time to face themselves, circa 1976. 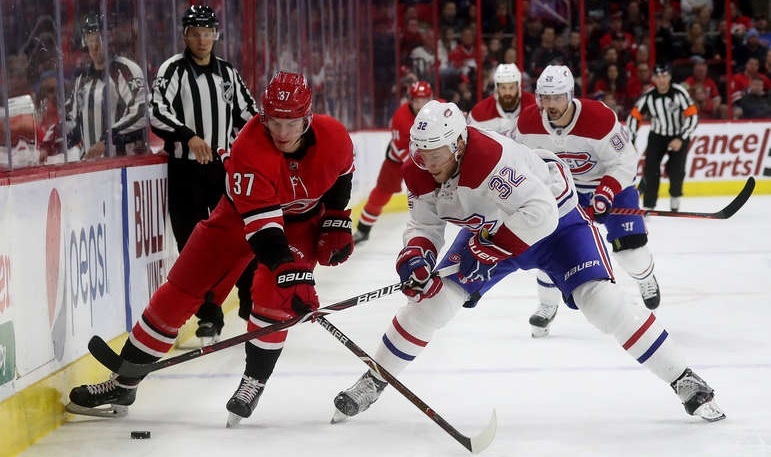 Meanwhile, credit Marc Bergevin for tweaking his lineup ahead of the trade deadline to address a team weakness – faceoff percentage – without mortgaging the future: the Habs are a strong possession team but until recently ranked only 23rd in the faceoff circle. Both Jordan Weal and Nate Thompson excel in the dot, and both have fit in nicely, with Weal, in particular, making plays and instantly meshing with the Canadiens’ speed game and aggressive forecheck. The GM played to a team strength, in this case: greater success in the dot, in theory at least, should translate into stronger possession numbers. In Tuesday’s do-or-die game against the Lightning, the Canadiens fired 45 shots at a third-string goaltender who may have played the game of his life. They held a wide edge in play against a Tampa team that dominated the regular season, by keeping them on their heels and playing with desperation. With just a pair of games to play, the Habs, once widely expected to be among this season’s lottery teams, live to fight another day. If you’re a fan, what’s not to love?